Where are the best areas to buy a home in the Veneto? In a country of iconic cities and landscapes, the Veneto still manages to stand head and shoulder above the rest. From the grand palaces and canals of Venice, to the Palladian villas of the Euganean Hills and medieval townhouses of Padua, it seems that every corner of this region has its own claim to fame. 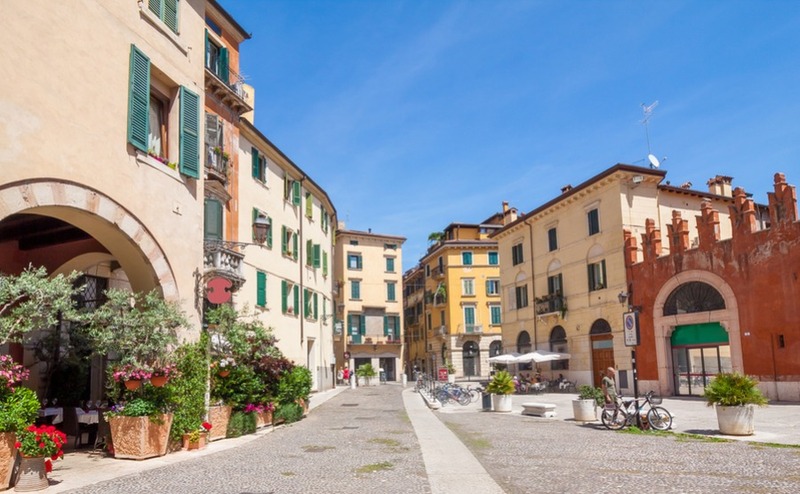 At first sight, you might imagine it would be impossibly unaffordable to buy a home in the Veneto – but my insider tips will help you find those good-value hotspots that many expats miss. Where does the Veneto cover? Veneto is in the north east of Italy and covers an area from the Adriatic Sea right up to the Dolomite mountains. The provinces of the region are Venice, Belluno, Padua, Rovigo, Treviso, Verona and Vicenza. The Venetian lagoon is home to the world-famous city of Venice as well as smaller islands including Murano. Along the coast there are also stretches of sandy beach with seaside resorts such as Jesolo, Bibione, Cavallino and Caorle. Going inland, the countryside is home to charming stone farm houses, towers, villas, castles and pretty villages. This natural setting has a variety of scenery and many artistic and traditional treasures to discover as well as a rich cultural heritage. Business is thriving across Veneto, one of the richest regions in Italy. And yet, it remains unspoilt, with beautiful countryside and well preserved historic town centres. If you choose to live in Venice, you’ll need to get up early to beat the tourists to the fish market and do your shopping on foot, but there is so much local fresh produce to enjoy. Once you learn all the back alleyways, you’ll be able to hunt out the Bacaro (small bars) where the locals go and try the “Cicchetti” (nibbles) that are served with your aperitif. This might include polpette (meatballs), baccalà mantecato (cod) and marinated olives. Probably the most famous Veneto cheese is grana padano, but there are many other artisan cheeses to try, made from the milk of cows that graze in the lush mountain pastures. Find out how to get the best possible price with our free Negotiation Guide. Prosecco is the most famous Veneto wine and is the top selling sparkling wine in the world by volume. Yes, it even beats French champagne! Produced throughout the Veneto region, authentic Prosecco is labelled with a DOC or DOCG designation to indicate authenticity of origin. Prosecco Superiore DOCG can only be made in the Treviso province of Veneto, on the hills between the towns of Conegliano and Valdobbiadene, and is considered the absolute best. Veneto has many other high-quality wines which can be tasted at restaurants and on vineyard tours. They include the full bodied Amarone and the crisp dry white Soave. Where can you buy a home in the Veneto? The Veneto’s divided up any number of ways: provinces, towns, municipalities, etc. But I prefer to think of it by landscape: the mountains, the hills, the lakes, the coasts and then the urban centres. Here are the best areas to look at to buy a home in the Veneto. The Dolomites provide a stunning backdrop to the Veneto’s mountain villages, such as Alleghe. The soaring peaks of the Dolomite mountain range are part of the Belluno province, an area which offers superb scenery and winter sports opportunities. According to Italian newspaper Il Sole 24’s Quality of Life Survey 2018, Belluno is the 4th best place to live in Italy – and the year before it came first. Belluno scores particularly well for low unemployment, wealth, and life expectancy. In the same survey other Veneto towns also scored well. Treviso came 9th, Verona 13th, Vicenza 17th, Padova 33rd and Venice 34th. Belluno is the 4th best place to live in Italy – and the year before it came first. The Dolomites are on the UNESCO World Heritage List due to their remarkable shape with stunning peaks and pinnacles that can be seen for miles around. There are 32 ski resorts in the Veneto region. The most famous is Cortina d’Ampezzo, but Arabba, Civetta, San Vito di Cadore and Marmolada are also highly rated. The scenery is remarkable all year round and nature lovers can enjoy trekking in the National Park of the Dolomites and the Park of Lessinia. The Belluno province is also dotted with many castles and villages just waiting to be explored. For outdoor enthusiasts, you’d be hard-pressed to find a better place to buy a home in the Veneto. Speed up your hunt for your dream home by sending in your requirements to Diana, our Italy Property Hunter. The service is completely free for all Property Guides readers – just fill in our form and she will be in touch! The Euganean Hills are a perfect place to buy a home in the Veneto if you want rural tranquility. 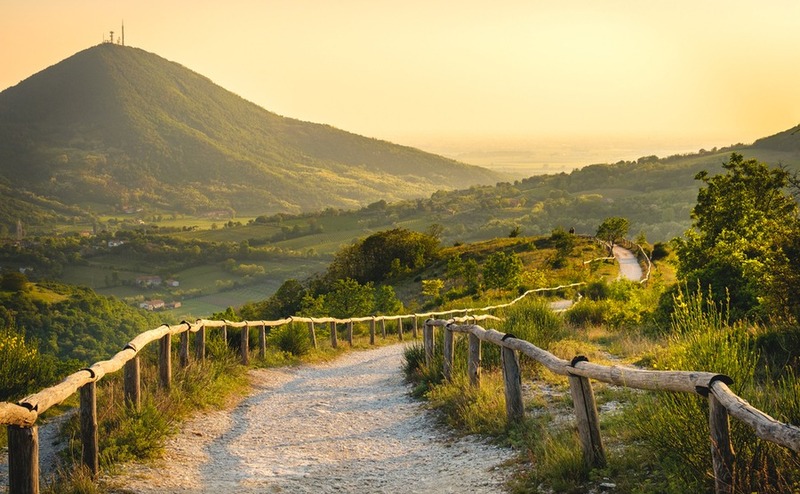 The hills of Veneto are everything you imagine of rural Italy, unspoilt countryside with vineyards and olive groves. Medieval towns, hamlets and farm houses, which have stood for hundreds of years, enjoy breath-taking views of the hills and changing seasons. Among the most beautiful are the Euganean Hills which offer a superb place to relax, with the luxury of the thermal waters of the Euganean Spas. The area is ideally located, being only 45 minutes’ drive from Venice and airports, and comprises of small hill peaks pointing out of the surrounding plains. Village life is thriving here, offering new residents a busy calendar of festivals and markets. Towns such as Malcesine are surrounded by stunning scenery and have beautiful historic centres. Not far from Verona lies Lake Garda, Italy’s largest lake. The area is dotted with hamlets, medieval castles and historical palaces. 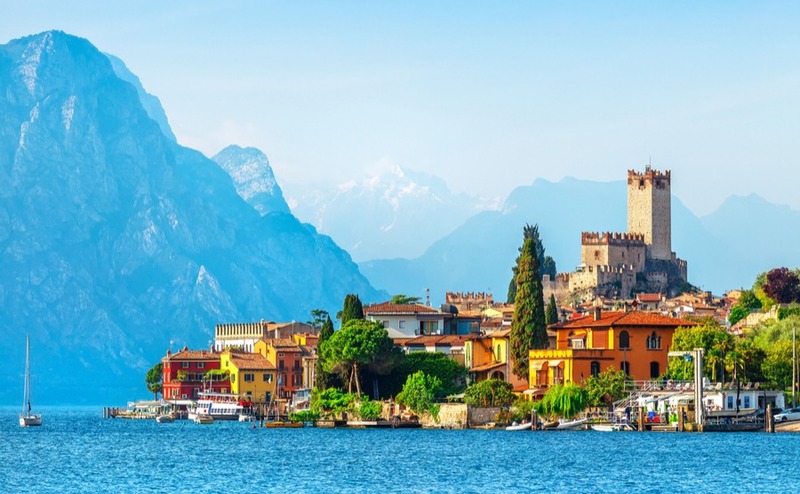 Peschiera del Garda, Lazise, Bardolino, Garda, Torri del Benaco, Brenzone and Malcesine are all located along the coast with beautiful scenery that includes vineyards, olive orchards and the crystal-blue waters of the lake. Close to Lake Garda is an adventure park called Gardaland, which is very popular with families. 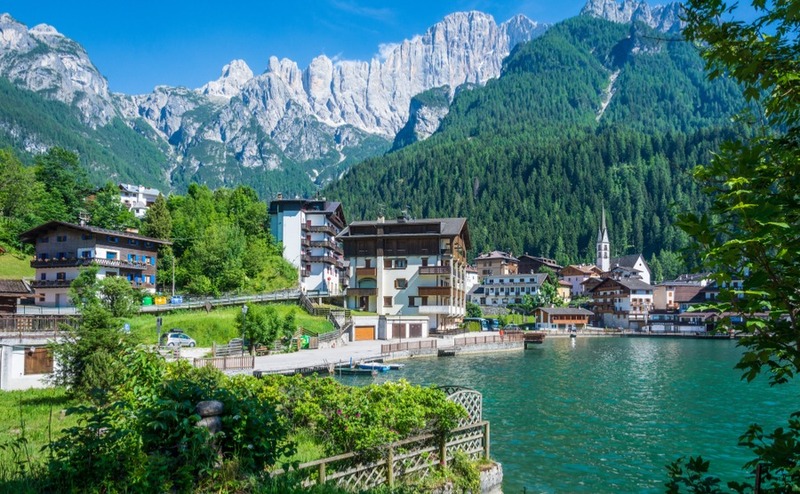 Three other lakes in the region worth visiting for their natural beauty are Lake Fimon, Lake Prealpine, and the Lakes of Cadore and Agordino. 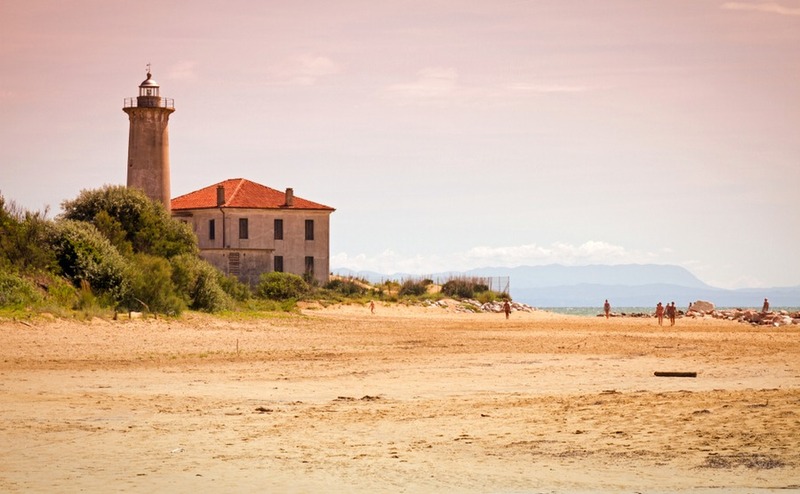 Bibione is a great place to buy a home in the Veneto if you want a beach lifestyle. The so called Venetian Riviera includes lots of beautiful holiday resorts located on the Adriatic Sea. There are elite resorts and also quieter areas. For the very active the coast between Bibione and Cavallino offers long stretches of sand where you can enjoy volleyball, surfing, sailing and waterskiing. There are also plenty of bars, clubs and restaurants for fun nights out. This is a great place to buy a home in the Veneto if you’re looking for an active lifestyle that feels like being on holiday year-round! 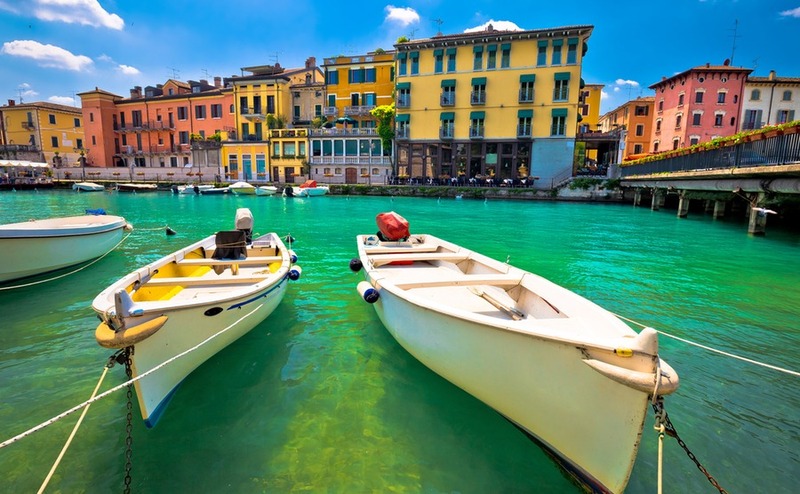 The Venetian Riviera is a great place to buy a home in the Veneto if you’re looking for an active lifestyle that feels like being on holiday year-round! If you look in districts like Dorsoduro, you’ll find Venice a surprisingly less expensive place to buy a home in the Veneto than you might think. Buying a house in Venice may be one of the most expensive choices in Italy, but they also yield excellent holiday rental return for most of the year. Venice and its lagoon are on the UNESCO World Heritage list and millions of visitors come to admire them every year. What they sometimes miss is exploring the maze of small lanes and piazzas down into more local areas, like Dorsoduro and Cannaregio. 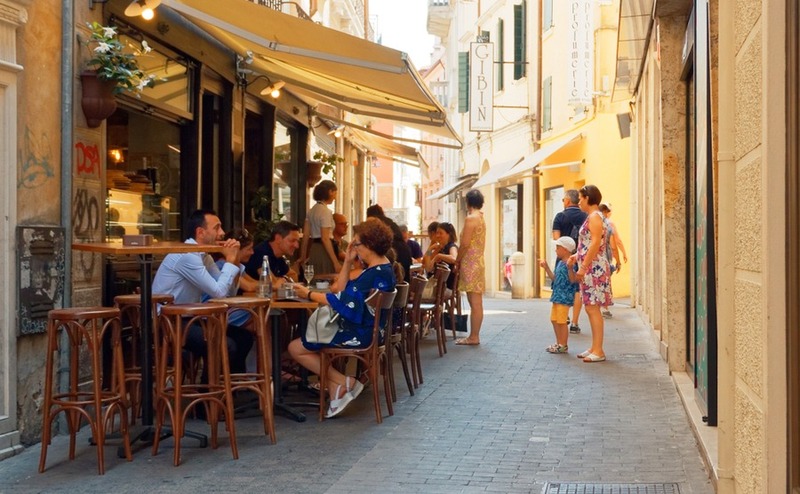 Here, you’ll find narrow alleyways that suddenly open onto small squares lined with trattorie, osterie and bars. Old palaces, churches with magnificent frescoes and pastel-coloured apartment buildings provide a feast for the eyes. And, of course, local traditions, such as Murano glass, gondolas, regattas, carnival masks and the flight of the angel all add to the magic. Verona’s many squares and beautiful apartments are a big draw for people looking to buy a home in the Veneto. The Gothic stone balcony of the Casa di Giulietta attracts many romantic tourists, as it is said to have inspired Shakespeare’s Romeo and Juliet. 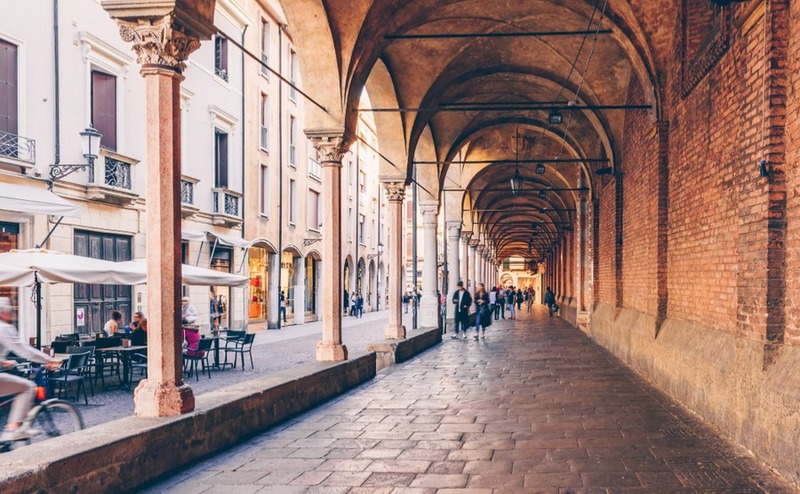 There is much more history to discover in Verona’s streets, including architecture from the Roman era, such as the Roman amphitheatre dating back to 290 AD. The Arena di Verona is very popular with music lovers who attend the summer Opera festival. Living in Verona, it is so easy to visit all the natural wonders of the province, including Lake Garda, the hills, plains and mountains. A fantastic base to buy a holiday home in the Veneto! You’ll never run out of things to do in bustling Padua. Easily reached from the Euganean Hills is the picturesque city of Padua. It has a network of arcaded streets opening into large piazzas, and has a wealth of medieval, renaissance and modern architecture. The city centre is still surrounded by an impressive 11 km-long (6.8 mi) city wall and bridges cross the various branches of the Bacchiglione, which once surrounded the ancient walls like a moat. Padua is most famous for its university, founded in 1222. It has a long list of notable lecturers including Galileo Galilei, and hosts the oldest anatomy theatre, built in 1594. The university also hosts the oldest botanical garden (1545) in the world. The Botanical Garden (Orto Botanico) of Padua is on the UNESCO World Heritage List as it still preserves its original layout of a circular central area, symbolizing the world, surrounded by a ring of water. It also continues to serve its original purpose as a centre for scientific research. Other beautiful walled towns in the area include Citadella, Monselice, Este and Montagnana. 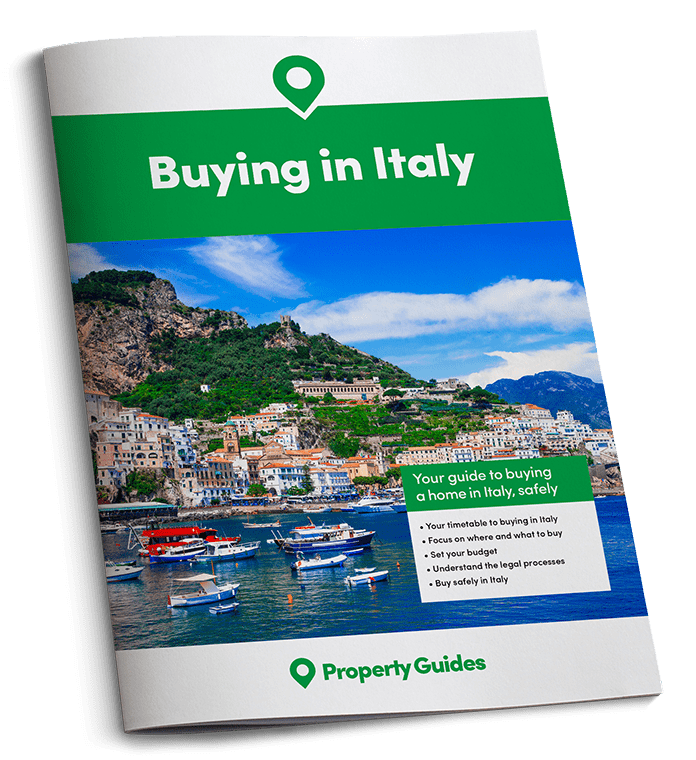 Give our Resource Centre a call on 020 7898 0549 or send us an email at italy@propertyguides.com if you have any questions about buying in Italy. Vicenza is listed as a UNESCO World Heritage site. The city of Vicenza and the Palladian Villas of the Veneto are listed by UNESCO World Heritage, due largely to the great architectural work of Andrea Palladio (1508–80). Based on his study of classical Roman architecture the city was given a unique appearance. There are 23 of Palladio’s buildings in Vincenza including the stunning Basilica Palladiana, as well as 24 villas scattered throughout the Veneto region. His work inspired a distinct architectural style known as Palladian, which spread to England, other European countries, and North America. Vicenza is a cosmopolitan city, with a rich history and culture, and many museums, art galleries, piazzas, churches and elegant Renaissance palazzi. It is also one of Italy’s wealthiest cities, with big businesses involved in textile and steel industries, production of gold and jewellery and the engineering/computer components industry. Treviso is the famous home of Prosecco! Located about 40 minutes from Venice, Treviso has some lovely city canals to explore with connecting little bridges. The water flows right up to the houses, many of which have small docking platforms or terraces that open out onto the water. Described by poets as a città cortese (“courteous city”), its calm and peaceful atmosphere was a popular getaway for 18th-Century Venetian aristocrats. Today, the historic old town is still separated from the modern part and much of the original city walls and gates remain in good condition. Treviso Cathedral is undoubtedly the most impressive structure in the city and is crowned with five huge green domes. The Piazza dei Signori is the main square where concerts and cultural events are held. The city is home to the headquarters of clothing retailers Benetton, Sisley, Stefanel, Geox, Diadora and Lotto Sport Italia, as well as appliance maker De’Longhi, and bicycle maker Pinarello. It’s an excellent spot to buy a home in the Veneto if you’re looking for work. Treviso is well known as the original production area of Prosecco wine and some historians believe it is the birthplace of the Italian dessert tiramisù. The magnificent landscape north of the city is perfect for wine routes offering excellent wine tastings and beautiful scenery. There is also a very busy central fish market. Cycling is popular in the area and Treviso is home to notable volleyball, rugby and basketball teams. On top of that, over 6.5 million Italians visit the region. The majority head for the provinces of Venezia and Verona. Veneto’s historic cities are attractive to visitors all year round and so not surprisingly topped the total arrivals figures with 10.5 million arrivals in 2017, with 22.9 million nights stayed. More night stays were registered in the seaside resorts (25.9 million), lakes (13.01 million), mountains (4.3 million) and spa towns (3.2 million). Veneto’s prestige and high standard of living makes it a popular region with foreigners, and it does attract some very wealthy house buyers. But if you look outside the main tourist areas – even just a short way away, the dream to buy a home in the Veneto is much more affordable. In the region as a whole property prices have fallen over the past five years, but they have now become stable. This makes it a savvy time to invest in a home here. Prices can vary a lot in Venice. You will obviously pay a premium for a canal view and outside space and a terrace looking across the red roof tops at sunset is another beautiful sight worth paying extra for. The average price of a 2-bedroom apartment is between €300,000 and €500,000, but prices are considerably more on the Grand Canal. Many buyers prefer apartments on the higher floors, due to fear of flooding, but there are some lovely ground floor apartments for sale at reasonable prices that claim to have no such problems. Find out how to access medical attention when you move overseas in our Healthcare Guide. For example, this 2-bedroom apartment in Venice is conveniently located less than 10 minutes’ walk from the train station and is priced at €250,000. Andrea Redivo Zaglia of “Properties in Italy” specialises in homes in Venice and across Veneto. He recommends “the Dorsoduro, San Polo and Santa Croce districts of Venice, but also Castello or Cannaregio districts, as long as the area is well connected to the train station and not overcrowded by tourists”. 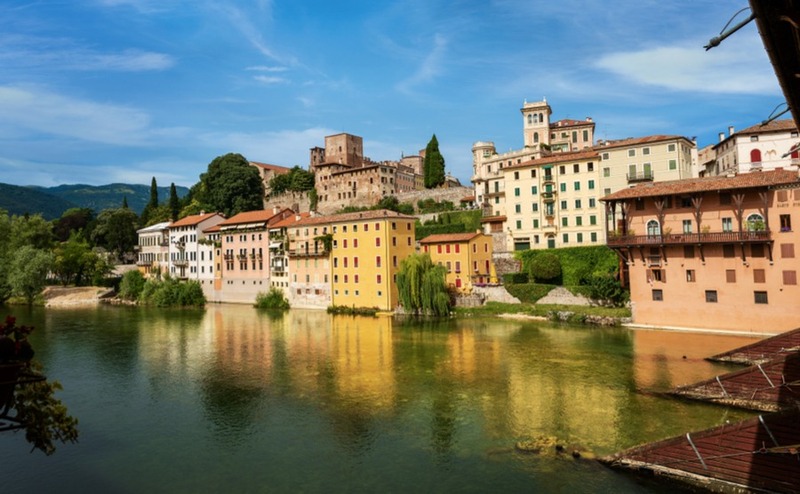 Andrea also recommends looking at property in other major cities in Veneto, such as Padova, Treviso, Verona and Vicenza, as well as small towns and charming hamlets such as Asolo, Montagnana and Arquà Petrarca. Apartment prices can be around 30-50% cheaper than in Venice and yet you can still find stunning architecture and lovely roof top and waterway views. These towns offer retirees all the Italian charm, art and history along with the convenience of shops, doctors and restaurants on their doorstep. If you are looking for a home that has good potential as a holiday rental, a well-presented property in any of Veneto’s major cities should do well. Peschiera del Garda’s lakeside apartments start at around €175,000. Apartments with a lake view in Peschiera del Garda start at about €175,000. Houses in countryside locations are also becoming popular. When looking for a countryside house in the Veneto, do consider its proximity to good road and rail connections. For rentals, looking for nearby attractions such as pretty villages, wine routes, hiking and other outdoor sports activities. Detached farm houses in the Euganean Hills that need renovation are generally priced between €100,000 and €200,000. Depending on size and location. A countryside house that is finished and ready to move in costs between €150,000 and €400,000. Or for €450,000 you could be living in this renovated 17th century tower house with breath-taking views across hills and vineyards. If you buy a home in the Veneto, having a quick trip back to the UK will be easy. There are international airports at Venice, Treviso and Verona. 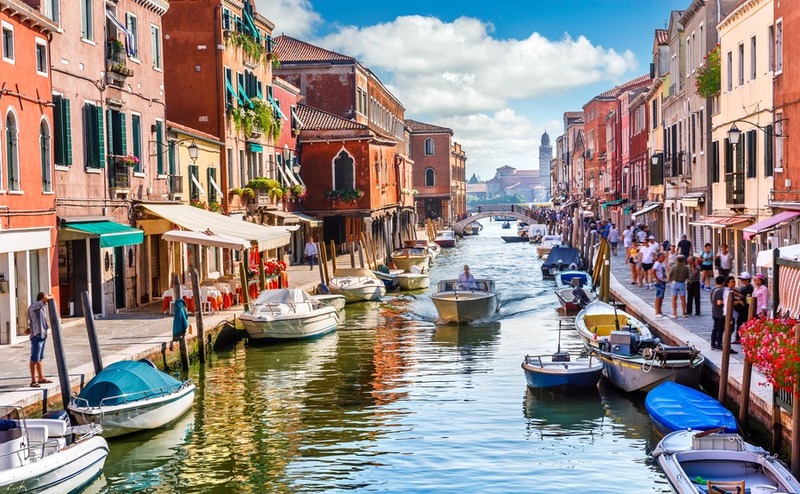 You will find flights to the Veneto from all London airports, plus Liverpoool, Bristol, Manchester, Coventry, Nottingham, Leeds, Dublin and Shannon. British Airways flies to Venice Marco Polo Airport and Verona Airport, EasyJet to Venice Marco Polo Airport, and Ryanair to Treviso Airport. Venice Marco Polo is the closest airport to central Venice, while Treviso is 70 minutes by bus from Piazzale Roma (the main Venice road terminus). Once you have moved to Italy, there may be times when you miss some elements of Britain, but don’t feel that you have to quickly book a flight home or order a British food parcel. Instead, plan a trip to the small town of Schio in the province of Vicenza, as the second weekend in October is “British Day”. Yes, that’s right. For two days, Schio is transformed into the most British town in Italy, with British music, literature, food and parades. The 30,000 people who attended last year were treated to the sight of bagpipes, a red double deck bus, British vehicles, and locals dressed in British themed outfits. Was that really Queen Elizabeth II who drove by in the parade? And don’t worry about whether Italians will understand your British sense of humour – according to their website “The event will take place even in the case of the sun”. The reason for this British craziness is because Schio is often referred to as “the Manchester of Italy”, due to the town once being a major wool and textile production centre. New wool-spinning and weaving technologies, like the flying shuttle, were imported from England by Nicolò Tron during the Industrial revolution and current inhabitants still celebrate the connection between our two nations. Veneto is ready to make you feel welcome and at home. Visit the Italy Property Guides property search page to start your hunt to buy a home in the Veneto.